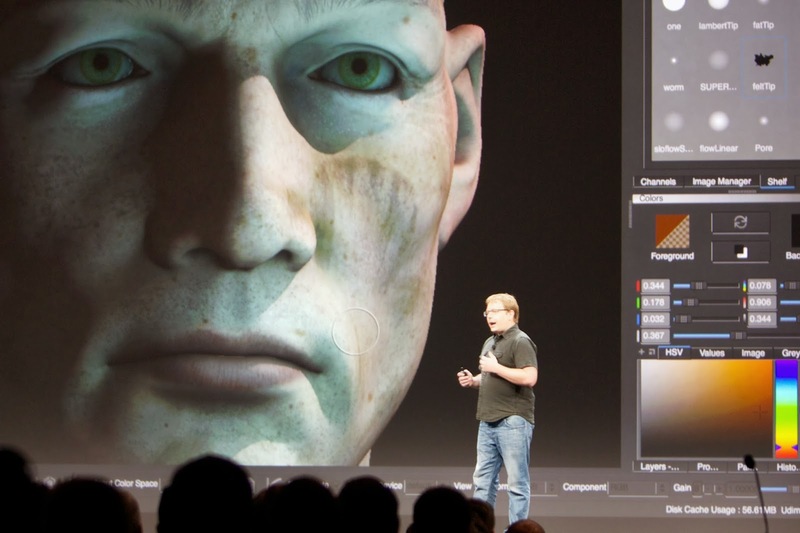 London, 7th October 2013 – Leading software developer, The Foundry has announced the release of 3D Digital Painting application, MARI for the Mac. MARI allows artists to paint directly onto 3D models using incredibly super high-resolution textures and millions of polygons. Mac users can download a 15-day free trial of MARI for the Mac here. The Foundry announced MARI for the Mac in June at Apple’s Worldwide Developers Conference (WWDC) and special session to preview the 3D painting application running on the new Mac Pro. The application was originally developed at Weta Digital to enable the groundbreaking visuals on James Cameron’s Avatar film. The software is production proven and was designed to meet the needs of even the most challenging VFX projects. The Foundry took over development of MARI in April 2010 and released MARI 1.0 in July that year. Today the software is widely used in the film industry and beyond. MARI was the primary 3D paint tool used on 9 of the 10 features shortlisted in the category of ‘Visual Effects’ in the 2013 Academy Awards® including The Hobbit: An Unexpected Journey, The Avengers and Prometheus. Until October 31st 2013, The Foundry is offering 25% off MARI on all platforms. Pricing with the discount is £905.00 / $1,495.00 / €1,085.00. MARI for the Mac is introduced with version 2.5 which is available now on all platforms. For artists really looking to get their teeth into MARI, The Foundry is running an exciting texturing challenge on CG Society until 15th December 2013. The best entries will be competing to win a prize pool of nearly $28,000. Artists can enter the challenge via this link.